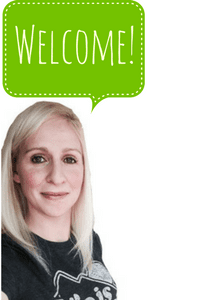 I am always looking for fun desserts to make, especially for parties and potlucks. 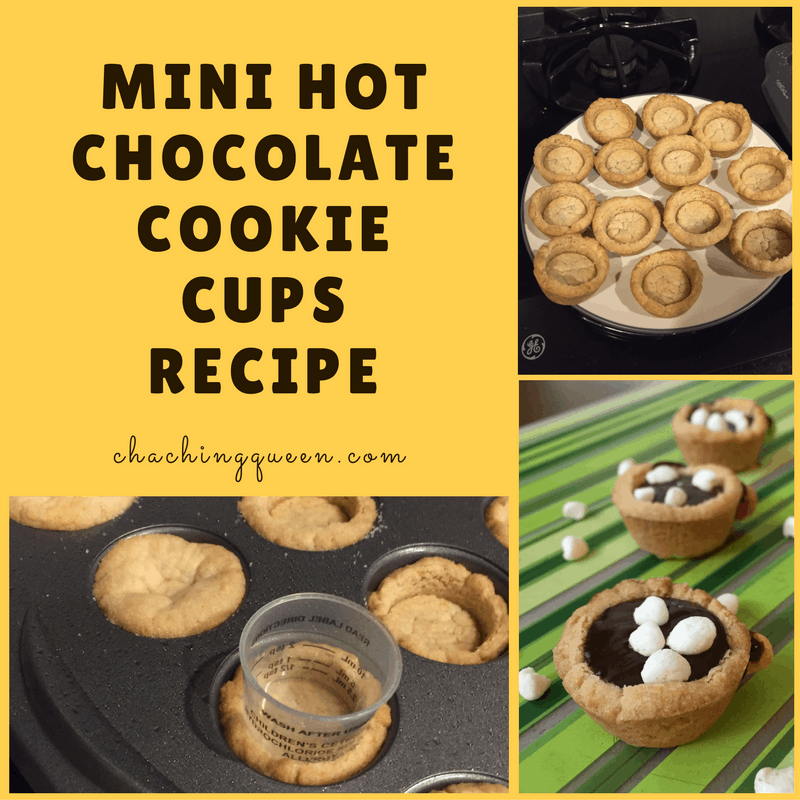 On Pinterest and some other sites, I have seen cookie cups recipes, but thought, hey, why not try making some mini hot chocolate cookie cups? I thought I would try to make the cookie cups, fill them with some sort of chocolate, and decorate them to look like cups of hot chocolate. It worked and it tasted really good too! 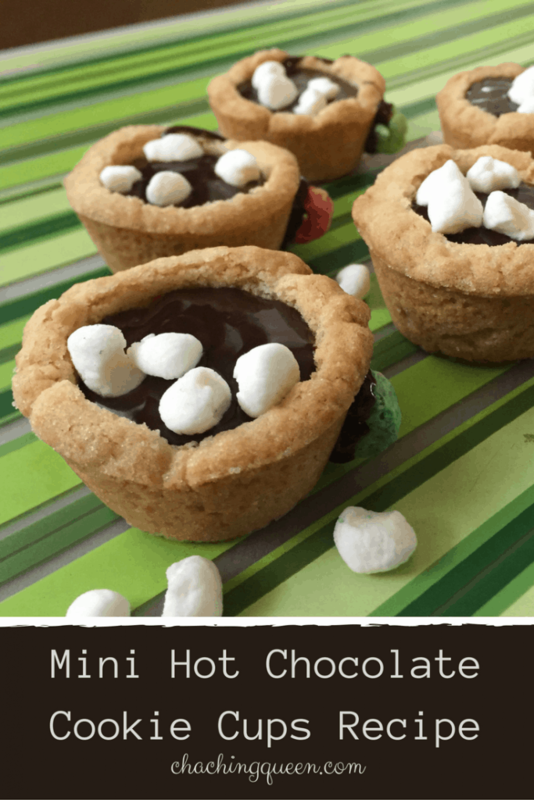 Here is my Mini Hot Chocolate Cookie Cups Recipe. This mini cookie cups recipe is very easy to make. Basically, you need sugar cookie dough, chocolate (or fudge), and some mini marshmallows. Make or buy sugar cookie dough. I have a very easy recipe for sugar cookies. 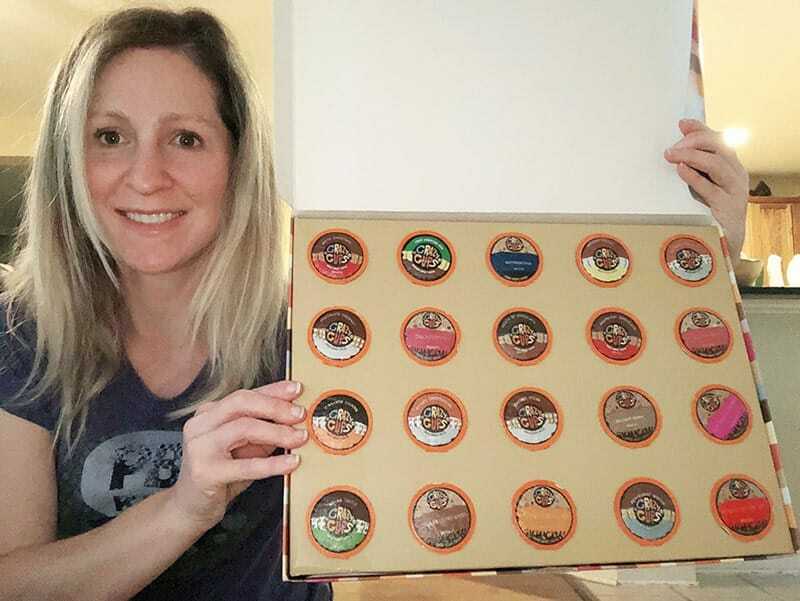 Most likely, you already have the ingredients in your house. If not, buy a mix or refrigerated sugar cookie dough. Next, grab your mini muffin pan and spray with some non-stick spray. Make Tablespoon sized dough balls and roll them in some granulated sugar. This will help keep them from sticking to the pan. Then, press the dough balls in each muffin spot. Bake at 350 degrees for around 12 minutes. Time may vary based on your oven and sugar cookie dough recipe. 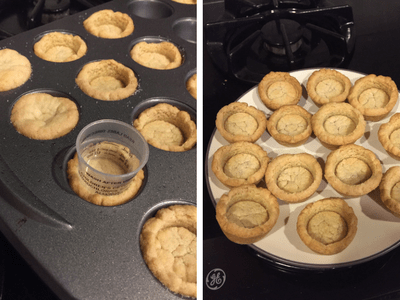 Immediately after removing the cookies from the oven, take a shot glass or medicine cup to make indentations in the middle of each cookie. This will form the “cup”. Make sure to let the cookies cool completely before removing them from the pan. I like to use fudge for my filling. I also have an easy fudge recipe here. If you don’t want to make fudge or prefer a different filling, then here are a few options. Try this Chocolate Ganache recipe. You could also try using chocolate mousse. Then, fill your cookie cups with your desired filling. Hot chocolate is not complete without marshmallows. 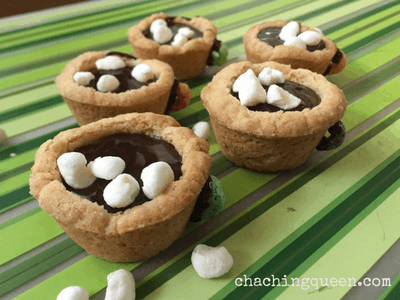 Before your chocolate cools or hardens, top your cookie cups with marshmallows. You can use the mini marshmallows, or cut bigger marshmallows in small pieces. If you would like a handle for your cookie cups, then here are a few options. I made my handle out of Fruity Cheerios cut in half. I attached them with little drops of fudge on each end. You could also use curved pretzel pieces and attach with icing. 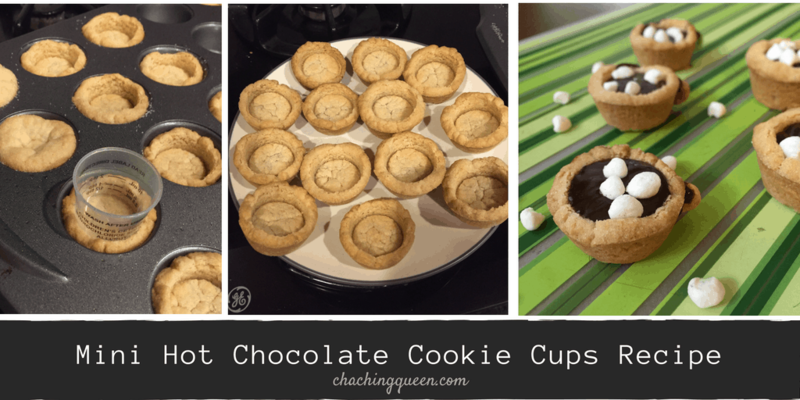 Let everything cool completely and enjoy your Mini Hot Chocolate Cookie Cups!